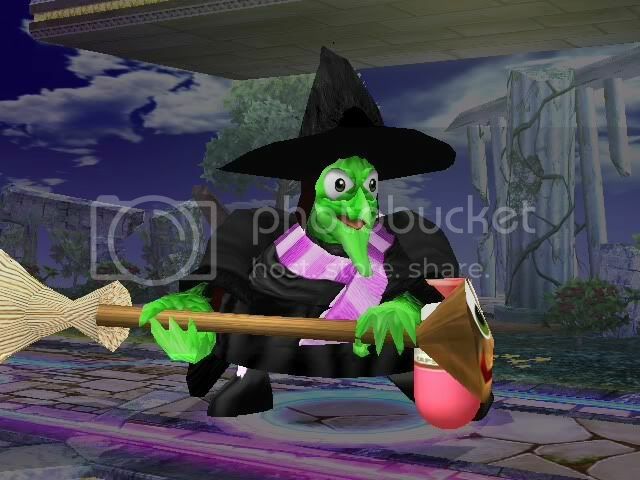 port of a brawl Gruntilda mod from this pack. Oh okay, thanks. I didn't actually know what request updates were for, so that's pretty helpful. Well, the Banjo we have is good enough, we're very early in to Sm4sh modding so of course it's not going to be perfect. Plus, there have been no good official Banjo models since Nuts and Bolts, and....Well, you know. Yeah I saw that one, and it is pretty good. But, the Banjo we have is already good enough (for now) if you ask me.